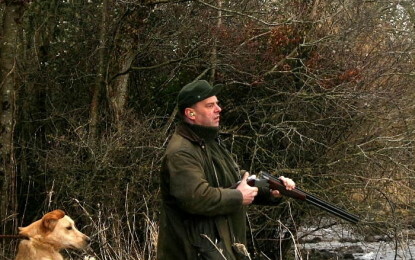 For excellent pheasant shooting and pheasant hunting in Ireland, the Illaunmore Shoot is a truly unique driven shooting experience. 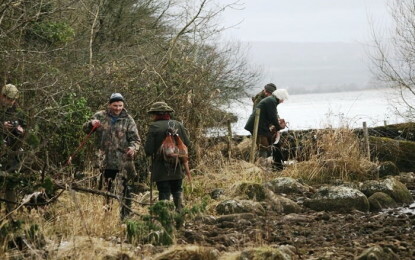 As the name suggest, the shoot is set on a large island on Tipperary’s Lough Derg. Shooting is a mix of mainly pheasants with a few partridges to spice things up. Days are run for 8 to 10 guns with bags of circa 220 birds per day and are made up of 4 to 5 drives a day. The day begins with guns meeting at Coolbawn Quay, where they are met by their first mode of transport for the day; a landing craft. Everyone is loaded on for the short trip across to Illaunmore, where land transport awaits the guns. 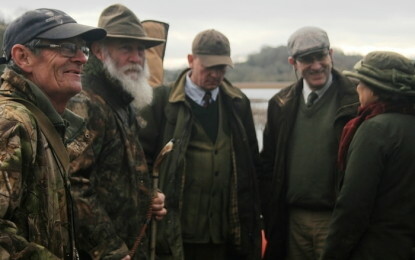 The first drive is usually in the center of the island and is followed by two further drives in the morning, one of which will be on the Lough’s shore, before the guns retire to the shoot lodge for a splendid three course lunch. The afternoon holds a further one or two drives, depending on how the bag is going. These include one of the famous shore drives, with the chance for some very testing long crossing birds out over the water, for the pegs on the Lough’s shore. After the final drive, it is back to the landing craft for the short journey to the mainland. Days are very well run with an informal feel and great hospitality to put everyone at ease to enjoy the day’s sport in pheasant hunting. there where up to 90 people living permanently on the island. It was a village structure with a church, school and little houses. The inhabitants were making a living as fishermen, farmer or caftsmen. Today there are four habitable houses left. The island is about 56km from Shannon airport.